Protect your property and loved ones with cameras in your home. 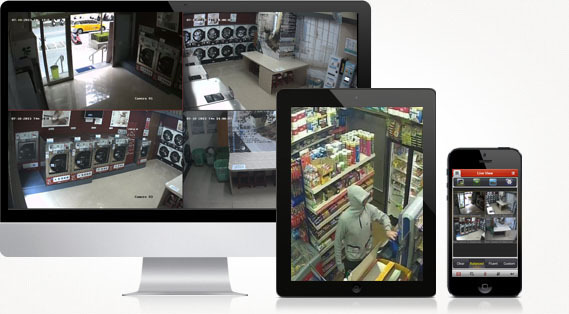 Enjoy peace of mind with live video monitoring always at your fingertips! CCTV equipment may be used to observe parts of a process from a central control room, when the environment isn't suitable for humans. We combine our uncompromising quality of workmanship with customizable solutions to meet your needs! Remote Viewing Managing and monitoring your security from almost anywhere in the world with our mobile app! We pride ourselves in delivering unparalleled levels of customer service and support, backed by IP surveillance products that boasts the highest quality features! Secure Vision is a Cape Town based CCTV Installer offering, new installs, upgrades and maintenance on analogue and digital security camera systems of all sizes. Contact us today to book an on-site survey on 021 300 1001.